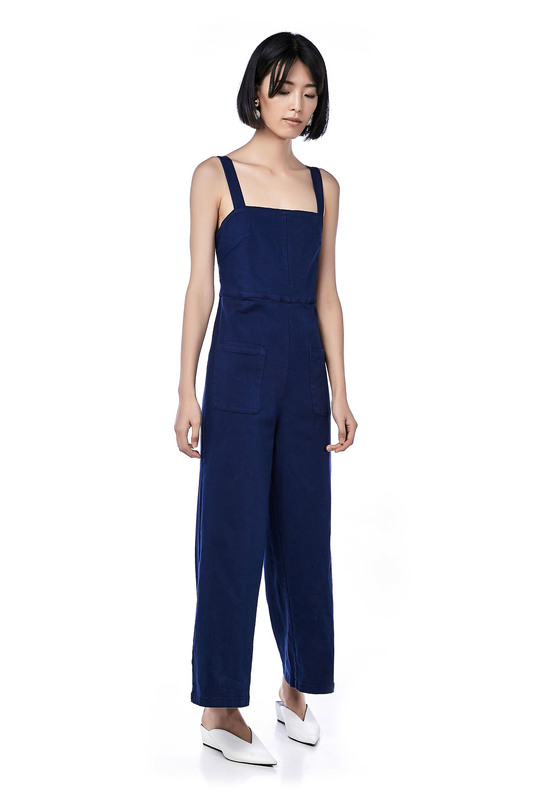 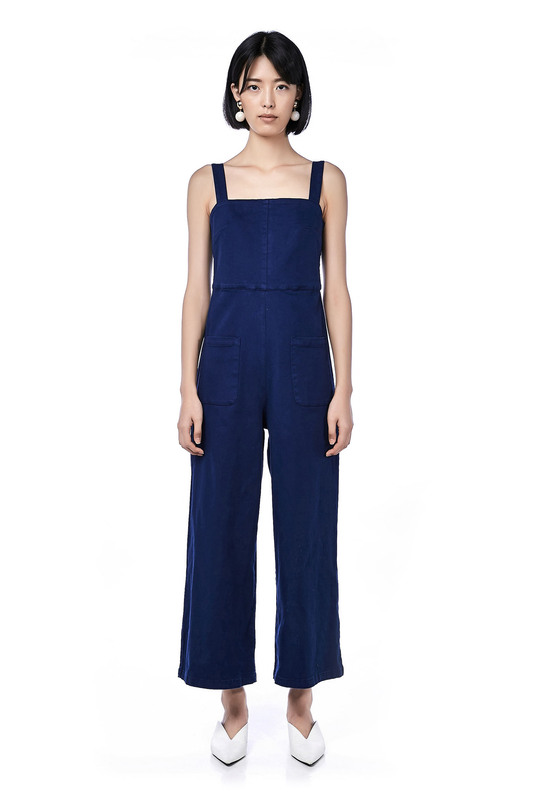 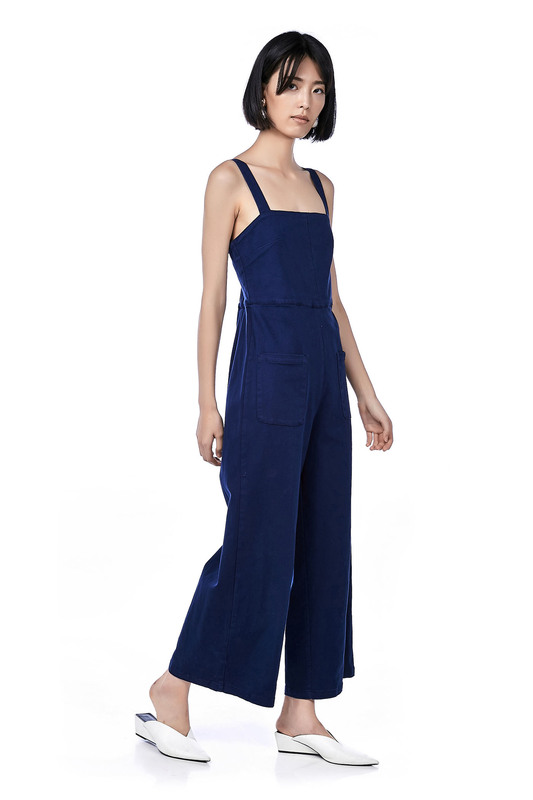 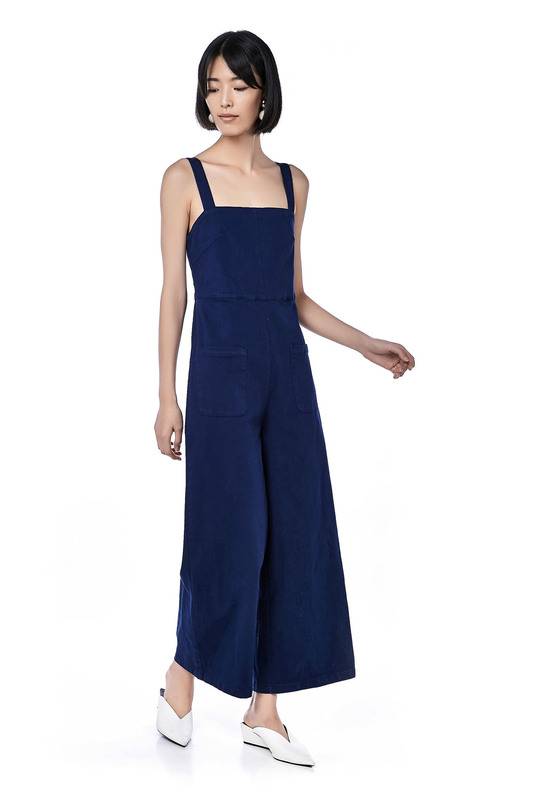 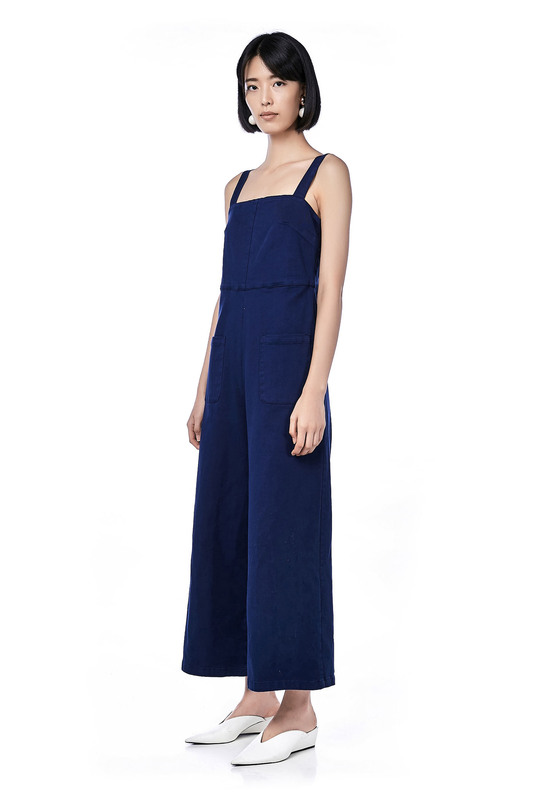 This sleeveless jumpsuit is made from woven polyester. 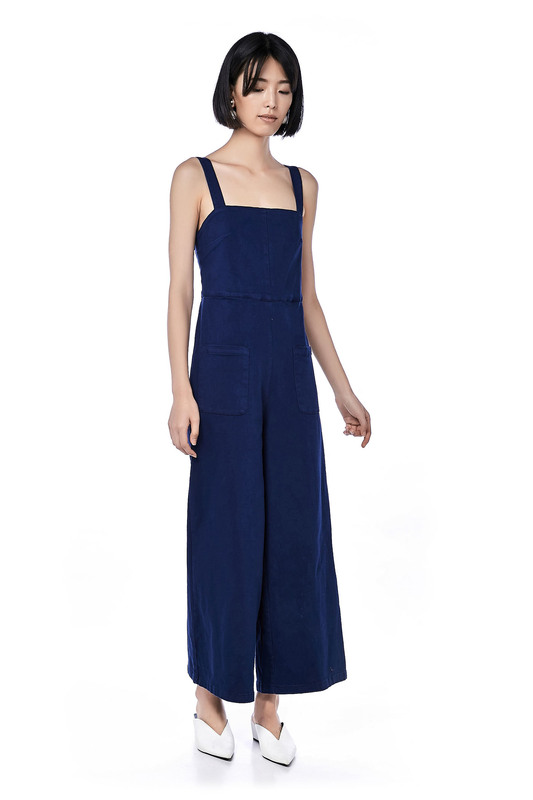 It has a square neckline with thick shoulder straps and wide legs, made in a slim fit. 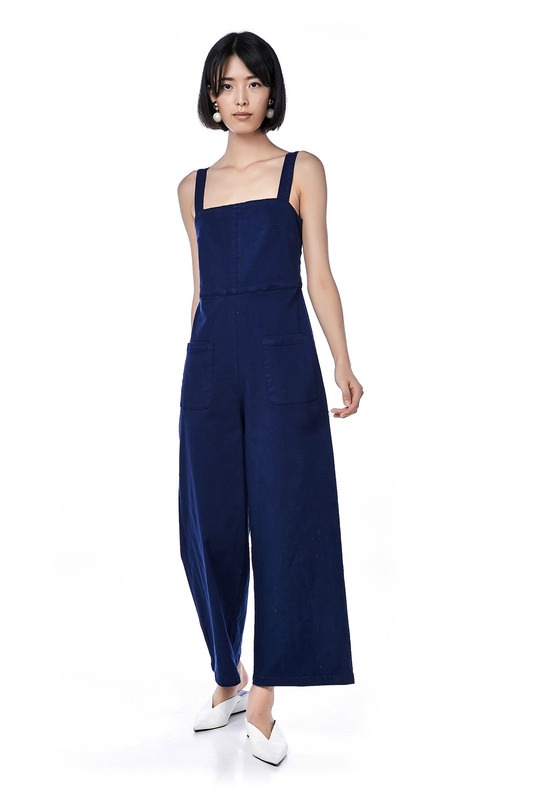 Functional pockets at both sides with zip closure on the back. 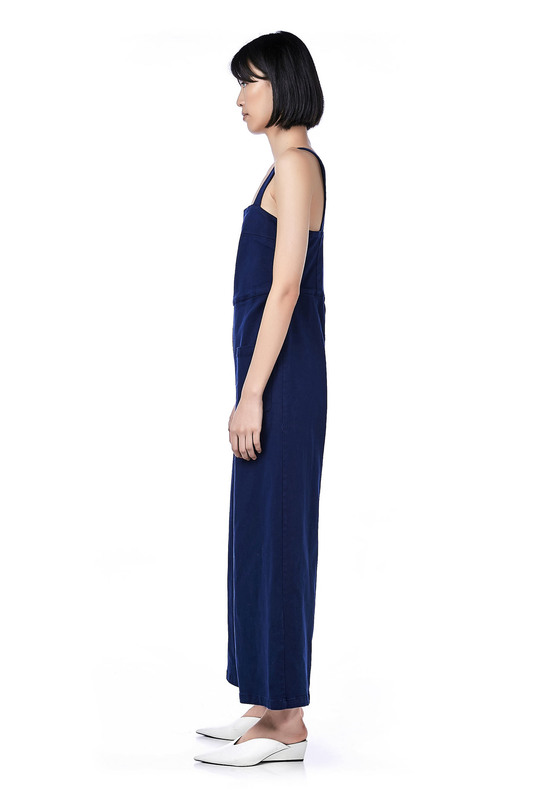 LENGTH 54" 54" 55" 55"